Description: An assortment of colored wires: you know it's a beautiful thing. 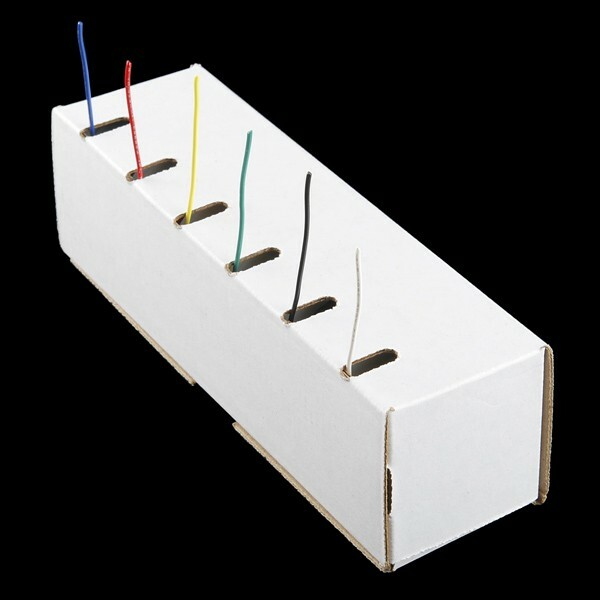 Six different colors of solid core wire in a cardboard dispenser box. Sit this on your workbench and stop worrying about having a piece of wire around!